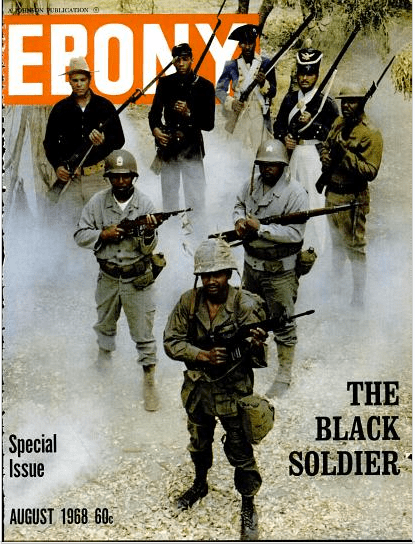 Another image that I am hoping to use in my forthcoming book about the Crater and historical memory is the August 1968 cover of Ebony. 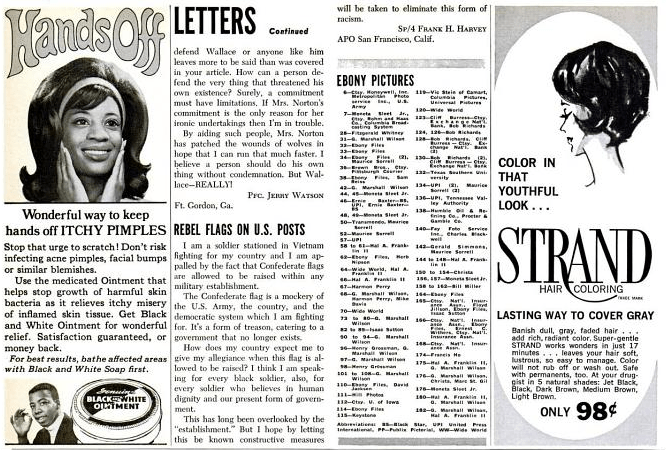 I went through the entire run of Ebony and Jet magazines during the course of my research in an effort to better understand how African Americans remembered black Union soldiers through the Civil War Centennial. I was not disappointed. The coverage was extensive and included a number of well written essays by academic historians, including John Hope Franklin and the popular historian, Lerone Bennett, who is best known for is book on Lincoln and emancipation. I found a few essays that referenced the Crater, but the battle clearly did not stand out for African Americans in the 1960s. That’s not surprising given that more extensive coverage would have forced writers to deal with the additional problem of how to handle the massacre of large numbers of black soldiers following the battle. Such a narrative would have run counter to the strong desire among authors to tell a heroic battlefield story. Much more attention was given to the assault at Battery Wagner by the 54th Massachusetts and the assault at New Market Heights as well as the heroics of individual black soldiers. Anyone who believes that black Americans did not express an interest in the Civil War Centennial needs to spend some time with these two publications. Instead of ending in 1965 (at the end of the Centennial) I decided to continue my survey through 1975 and the end of the Vietnam War. The framing of the Civil War and the rest of American history in both magazines was clearly influenced by the ebb and flow of the Civil Rights Movement and the war in Vietnam. Indeed, at times there seemed to be very little distance between the past and present. The overarching theme of many articles was the contributions that African Americans have made to the expansion of freedom in this country so it is not surprising to find Nat Turner, Denmark Vesey, Frederick Douglass alongside Martin L. King and Malcolm X. At some point I hope to write up an article on the evolution of a black counter-memory between 1960 and 1975. Next post: Did the South Win the Civil War?